i Click 'view all' to instantly compare this ok deal with offers on other top portable projectors. 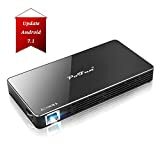 DBPOWER Mini Projector 50% Brighter Full HD LED is currently selling at $62.99, approximately $1.75 lower than average, giving a potential saving of $7.00 right now. With a lowest price of $51.30 and an average of $64.74 it is selling on the high end of its usual range. Price volatility is 5.65% (meaning it changes a few times a week), so the price may drop reasonably soon. Right now this product is a recommended 'ok deal'. 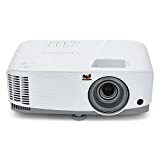 Compare the current price, savings (in dollars & percent) and Buy Ratings for the top Portable Projectors that are closely related to DBPOWER Mini Projector 50% Brighter Full HD LED. Here is how DBPOWER Mini Projector 50% Brighter Full HD LED compares with other leading Portable Projectors. FeaturesBRIGHTER & SHARPER: This portable projector brings you a 70% brighter and 50% sharper image than other comparable mini projectors on the market. It's the #1 option for your home entertainment needs.LARGE SCREEN VIDEO PROJECTOR: It is a high-resolution 1080p projector meaning you can enjoy your favorite movies on a screen size of between 32-176 inches with a projection distance of 1.5-5m. 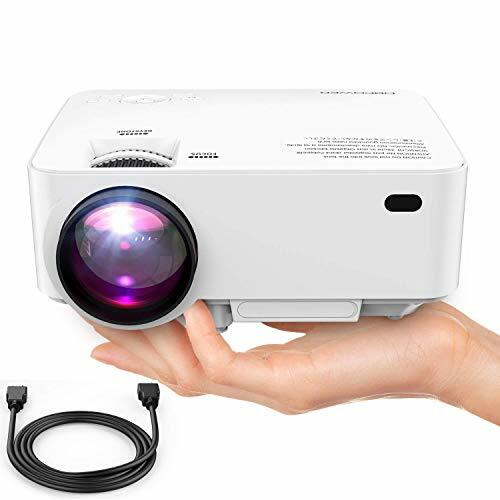 Furthermore, by placing the projector at the optimum distance of 1.8 to 2.0m, you will achieve a super-clear and bright projection.VERSATILE MOVIE PROJECTOR: This projector can be supports connections with laptops, smartphones, tablets, USB drives, DVD players, Amazon Fire TV Stick and Xbox, offering great versatility in what you can display with this projector. NOTE: When connected with smartphones, a Wi-Fi display dongle or HDMI adapter (not included) is required.LOW NOISE & ENERGY EFFICIENT: The projector is lower in noise and more durable than previous models thanks to advanced fan cooling technology. Moreover, the advanced bulb design is highly energy efficient, thereby using less energy.